As the holidays approach, I was reminded of this image I shot for Eva Longoria's cookbook - Eva's Kitchen: Cooking with Love for Family and Friends, which was released earlier this year. 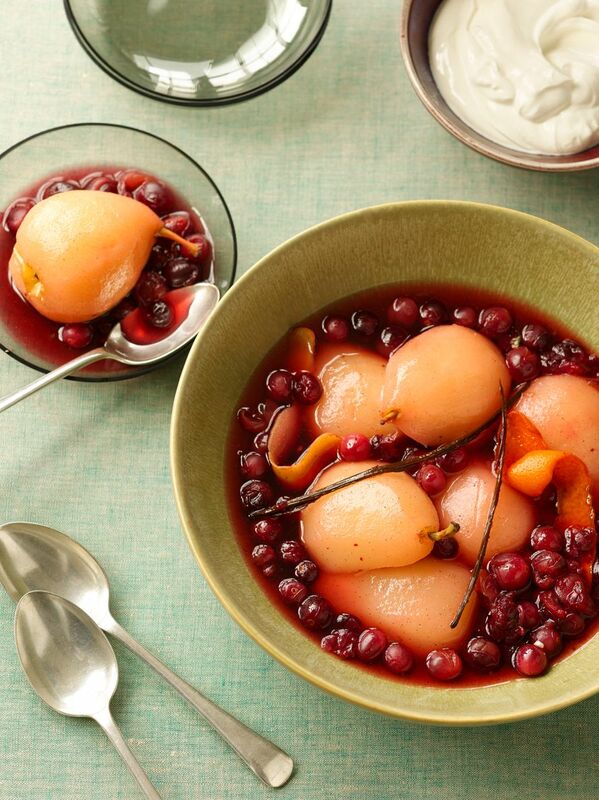 Deliciously fragrant cranberry poached pears - yum! Purchase her book here for more tasty recipes and images like this.